The approval was based on data from the Ritux 3 trial (N=90) which compared rituximab + short-term oral prednisone (Ritux 3 regimen) to oral prednisone alone as a first-line treatment for patients with newly diagnosed moderate to severe PV. Eskata is a high-concentration hydrogen peroxide-based topical solution intended for in-office application. 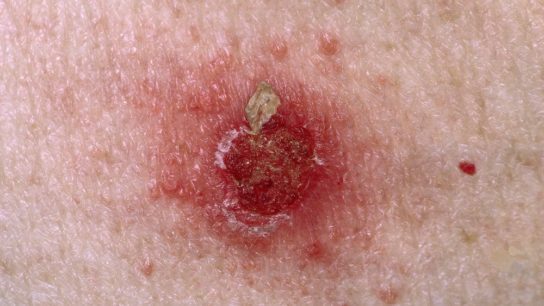 Approval was based on COMBI-AD, an international, multi-center, randomized, double-blind, placebo-controlled trial in 870 patients with Stage III melanoma with BRAF V600E or V600K mutations, and pathologic involvement of regional lymph node(s). 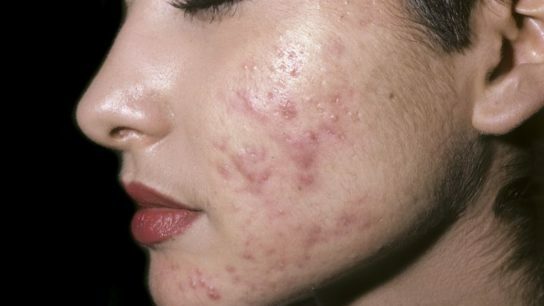 The Food and Drug Administration has accepted for review the New Drug Application for a once-daily medication for the treatment of moderate to severe acne vulgaris in patients ≥9 years of age. 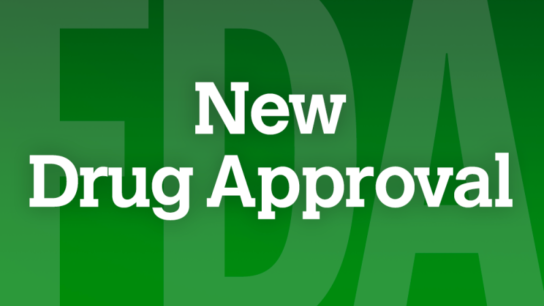 The FDA has approved an adjuvant treatment for patients with melanoma with lymph node involvement or metastatic disease who have undergone complete resection. Ozenoxacin, a quinolone antimicrobial drug, works by inhibiting the bacterial DNA replication enzymes, DNA gyrase A and topoisomerase IV. The Food and Drug Administration has issued a safety communication alerting healthcare professionals that biotin can significantly interfere with certain lab tests and cause incorrect results which may go undetected. A new case report links proton pump inhibitor use to 2 distinct dermatological reactions. This case reports on a patient who developed PsA after being stung by wasps 6-8 times. The FDA approved the brodalumab injection for the treatment of plaque psoriasis.